We’re only a few months away from the Workplace Wellbeing and Stress Forum 2015 and the production team have made some real headway. Dr Lucy Goundry is a medical director at Fit for Work. We can now announce that expert speaker Dr Lucy Goundry, medical director from Fit for Work Service will also be appearing in the line-up. 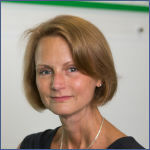 Dr Lucy Goundry is medical director and clinical lead for the government – funded Fit for Work Service and is responsible for the delivery of high quality assessments and advice on behalf of the service. Previous to this Dr Goundry worked in general medicine, undertaking a structured training programme facilitating experience in several specialities. She worked as a specialist registrar in cardiology and diabetology at the Hammersmith Hospital before moving into full time general practice. She worked as a GP Partner in Bexley Kent, where she developed an interest in Occupational Medicine, moving into this speciality in 2002. Prior to Fit for Work Dr Goundry was a medical director at Nuffield Health, and head of occupational health and wellbeing in local government. During her session, Dr Goundry will be examining the Fit for Work service. By attending this event you can expect to develop your understanding on how to move your mental health agendas forward in your organisation, as well as to develop wellbeing champions and ensure longevity of wellness programmes. Visit the event page to find out more about Dr Goundry and other expert speakers that will be presenting at the Workplace Wellbeing and Stress Forum 2015 and book your place today.